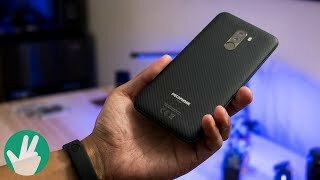 The pocophone f1 was last years best bang for the buck phone, a lot of tech reviewers praised not only its performance but also its amazing camera. 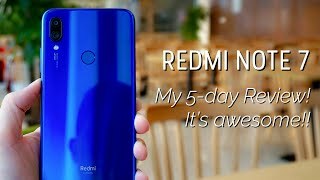 Now the redmi note 7 just came out with a 48MP camera, something that is quite mind blowing coming from a a $150 dollar phone. Is it actually any good? Or is it all fake? 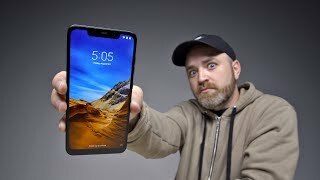 But the question really is, is it actually better than the pocophone f1? Well we’re about to find out. 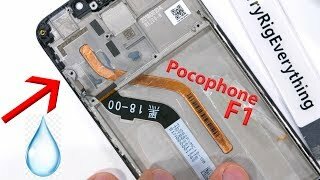 The Redmi Note 7 and the pocophone f1 has almost equal sharpness , the image quality is almost the same, but the pocophone f1 does look a little bit yellower. I did zoom in to see if there was a difference in detail. And I wasn’t able find a marginal one. They both seem to be on equal footing when it comes to image quality and sharpness. 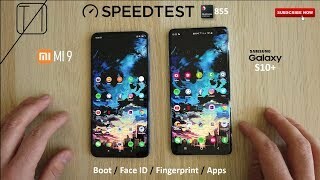 These are both outputting 12MP photos btw with AI turned on, I’m going to show you the real power of the 48MP in a bit but for now, with Photo Mode, it can only output 12MP. Now With AI on, it raises the brightness and saturation level of the image. And actually that’s all it does, no difference in detail at all when its turned on or off. 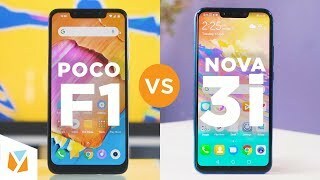 Now when it comes to HDR, the pocophone f1 performs better showing very balanced lighting on most photos. The redmi note 7 has some pretty harsh highlights and underexposed shadows. Something which a future update can fix. Selfies look almost identical in very good lighting. But in low light, the pocophone f1 edges the redmi note 7 with a sharper less noisy image. 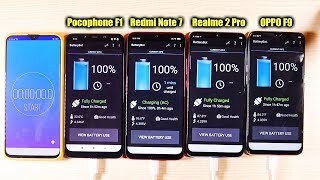 Now when it comes to low light, this is where the redmi note 7 flexes its muscles and distances itself from the pocophone f1. The redmi note 7 just captures more detail, has better contrast and punchier colours. In other words, it’s more pleasing to look at compared to the pocophone f1, although the pocophone f1 still can produce a very decent image at night. Actually it has a much better dynamic range and has better control of lighting. 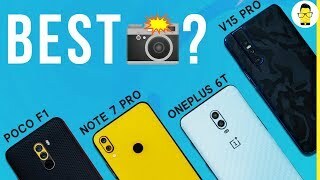 The Redmi note 7’s highlights is mostly overexposed. 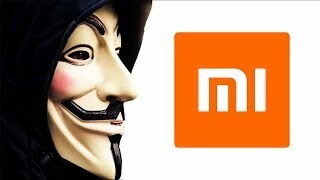 But with the new update, the redmi note 7 is now equipped with Night Mode, the same one from the Mi Mix 3, it’s something you can use to bump up the image quality in low light by leaps and bounds. 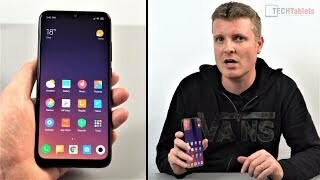 Now both the pocophone f1 and the redmi note 7 have night modes, and I actually got different results with them. 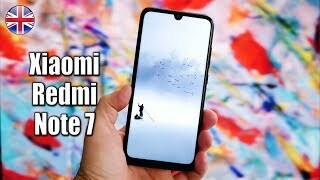 Checkout this ad by cocoichibanya, this was the redmi note 7 before the update, this is now the redmi note 7 after the update, that’s actually quite the difference , but with just photo mode you do get an overexposed image with the redmi note 7 but on the pocophone f1 you get a properly well balanced image with very readable text on the highlights. But now with Night Mode, it not only makes the text readable but also reveals the background here. 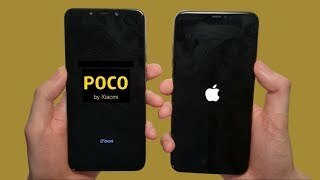 The Pocophone f1 is doing a great job at well, It really focused on the ad and has a much readable text than the redmi note 7. Here are some more samples of photo mode vs Night mode images. 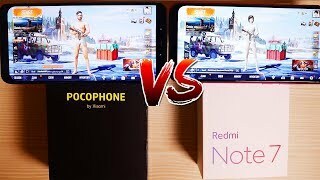 The redmi note 7 was consistently delivering a better image quality compared to the pocophone f1. oh btw Feel free to slow down the video anytime you want to be able to appreciate the comparison some more. And now for the highlight of this matchup, the 48MP camera of the redmi note 7. 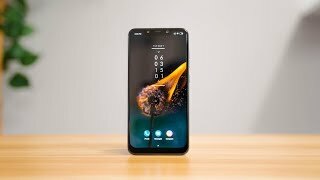 This will only work if you enable it in pro mode. The output of course is a true 48MP image. Which has a dimension of 8000x6000 and a file size of 14MB, took a 12MP shot of this and the file size was only 7MP. 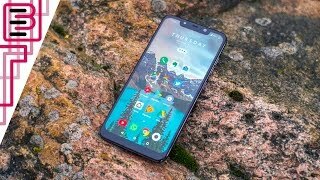 Now the regular photo mode will only output a 4032x 3000 image which is understandable since taking a 48MP photo will require absolute steadiness, or in other words you need a tripod else it will most of the time be blurry. 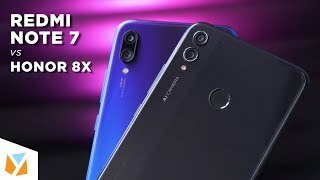 But right here is a 12MP photo from poco f1, and 48MP photo from redmi note 7, now when we zoom in a bit you can really see the details coming from the redmi note 7, now when we zoom 4x, the redmi note 7 still retains the details as you can see right here, impressive huh. 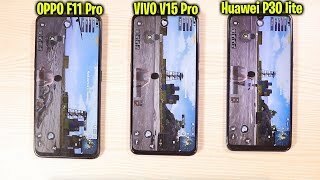 This is actually very useful when zooming in through text, double zooming this will result into this, you kind of notice the difference there now, the pocophone f1 just losing a whole lot of sharpness. And going in x4, the redmi note 7 just wins this hands down, that is the power of the 48MP pixel my friends. 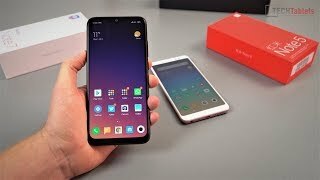 Redmi Note 7 | the budget king, once again?